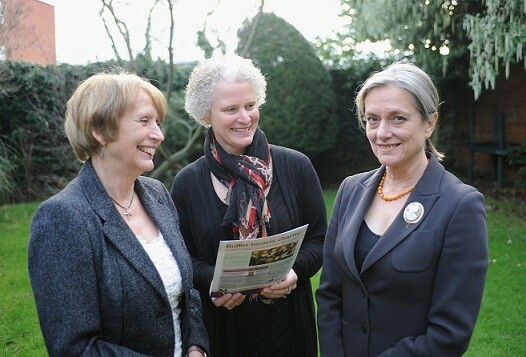 From Left: Diana Packwood, Sallie-Anne O’Byrne and Caroline Denham. One of Shropshire’s longest-established legal firms has announced a further expansion. Wace Morgan Solicitors, based in Shrewsbury, has acquired Snows, the Bishop’s Castle branch of Medlicott Snows. The acquisition is aimed at widening Wace Morgan’s geographical area of operation. Announcing the expansion, Diana Packwood, managing partner of Wace Morgan, said: “We are very pleased to have acquired this well-established business – it is a positive development for our firm and for the team at Snows. “The expansion will enable us to offer our specialist legal services to a wider area of south Shropshire and Mid-Wales. Wace Morgan has three offices in Shrewsbury and acquired a mid Wales firm nearly three years ago, taking over its Newtown office to create Wace Morgan Tomleys.